We hear and read that we should look inside. We suffer, we are stuck in some kind of pain, mostly mental — mental torment, mental pain — and the dharma, the wisdom-path emphasises how necessary, how crucial, it is to look inside. And that is different from always looking outside which is much more common. We tend to find faults here and there but not look at the roots inside. So we like this idea, after some hesitation maybe, ‘Ah looking inside, yeah!’ After some enthusiasm, however, we might find that it’s not that easy. We might still be convinced that we should look inside, but we keep looking outside. Now, a simple reflection can help, at least it did in my case. And very simply it’s this: all the causes of suffering — mental causes with their vast ramifications — are inevitably impinging upon our relationship to meditation. It is not that there is ambivalence, mistrust, a great inclination to aversion for this, that and the other, with the area of meditation staying crystal clear. How could that be? Inevitably, all this stuff transfers into how we relate to meditation. We should take this into account when we start on some line of complaining, or whatever. The idea is to wake up more and more to what is happening, also called awareness. ‘You’re doing fine,’ was the answer. We can easily identify with this person, and whenever we lose perspective and start being agitated about our agitation, it’s because we -assume that peace should be here, but instead we get the opposite. And we can start going round and round and round. We hear that the Buddha said, ‘I teach only one thing: suffering and the end of suffering,’ and we don’t much believe it. Nevertheless, we decide to give it a try. What we might find sooner or later is that we are living as practitioners; we are living a contradiction. On the one hand we sincerely want to let go of our mental habits, of our negative emotions — whatever it is that causes mental suffering — and on the other hand, we don’t want to get rid of this stuff. Actually, we are afraid of not practising, and we are afraid of practising. Have you noticed that? That’s the big contradiction. If we keep practising, something is going to change. But how is it going to be, the new territory? ‘Will it be worse than the one I am in now? If it is, it would be better to stay where I am.’ So, we have some contradiction and conflict. But that is there for us to observe without judging. Difficult. Judging is an enormous addiction that we have, extremely powerful. We exude judging, I mean unnecessary judging, negative judging, all the time. It’s a cage. One of the many benefits of practice — especially of intensive practice, maybe — is that sometimes we wake up in total amazement to just how much energy goes into this incessant conceptualising and judging, always hoping, perhaps, that something will come out of it — just one more judgement, one more thought, one more concept will do it, and on and on. Now, in this tradition there is the doctrine, concerning mental proliferation, papanca. It is very simple. The life according to ‘I’/‘mine’ is a proliferating life, a proliferating mind. 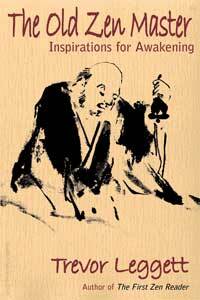 The liberated mind is called ‘without proliferation’, nippapanca. Papanca is proliferation; nippapanca is a mind of a buddha. It is said that a buddha, tathagatha, enjoys the state of nippapanca, in case we think it’s like being a zombie. No, it’s a matter of enjoying the state of nippapanca. So there is this state of peaceful and loving silence, inner silence, out of which useful, good, inspiring and necessary words come, and then again the nippapanca state, the peaceful silence, comes back. Do we want it? I wonder. Our main occupation would not be as it usually is if we did. We cannot be but hesitant, on the one hand, and on the other hand have great aspiration towards peace and lack of this incessant accumulation of judging and conceptualising. We have this deep aspiration, but we also have this deep addiction. We should take into account that this is the situation. We have to work on this scenario, on this conflict — very patiently, very gently. It is true that we want freedom, and it is true that we are attached to non-freedom. The more we practice, the more inner spaciousness we develop, but if we do not cultivate some kind of inner work, some kind of practice, the opposite is true. The proliferation solidifies more and more, the ‘I’/‘mine’, the ego, the suffering. It is said in the scriptures that the proliferation that manifests is caused by self-centredness. Not only that, but the proliferation that manifests then increases self-centredness. Peace, compassion and wisdom are not that proliferation. There is thinking, but it’s not frantic. Can you imagine having frantic compassion or frantic wisdom? Thought is present, but it is not madly proliferating layer upon layer. Ego, ‘I’/‘mine’, is connected to proliferation, and proliferation increases mental suffering. 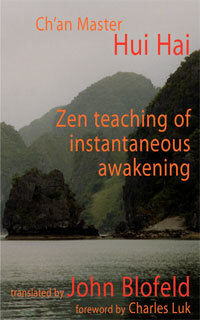 There is another aspect to consider, which is our conscious resistance to the practice. It is not that we forget, no. We are in the middle of mental suffering and we do remember the practice, but we reject it. I remember once when we were having a weekly meditation course. The homework was about some aspect of aversion, and this person said, ‘At one point I caught myself thinking I cannot be in peace with my anger,’ because the exercise was about bringing awareness to your anger. And her reaction was that one cannot be in peace with one’s anger. Awareness therefore was experienced as a hindrance. Instead of enjoying the flow of anger, this thing was experienced as alien, as something not working for but against us. Because of identification with our habitual emotions we can become blind. Obviously, awareness was the stranger; anger was the dear old friend. We therefore side with this old friend; we don’t side with the stranger. We resist the practice, we reject the practice. Do we offer ourselves some wise reflection? No way! We reject the practice. Has this ever happened to you? In case it has, you might also have experienced deliberately practising half-heartedly. Practice then comes out so unconvincingly that we feel justified in dropping it. The resistance can be very strong at times, as well as the power of habit. Instead of forcing against the resistance, which would obviously be counter-productive, if we can gently turn our awareness towards the resistance itself, making an effort not to judge it but just to hold it gently, then things gradually change. So practice has come back from the backyard, but we have not fought the resistance, which is often hopeless. We’ve taken it in hand and maybe tried to feel the contraction of the resistance, bodily and mentally, and stayed with it. In my experience very few things increase the love of the practice more than what we’re talking about here — holding the resistance, affectionately. ‘Why not? Oh, come on!’ — that’s what we say to ourselves. Because we are a bunch of habits walking around, whatever is different takes time. Now, let us go back to that fascination for our mental suffering, our being hypnotised, identified with it. The practice helps us more and more to see a very rapid sequence of reaction immediately followed by a strong blind belief in that reaction. This is a very quick and rapid sequence, a very active movement. And it happens many times in a single day. Now, through the practice we start seeing that there are two things: reaction and the blind judgement of the reaction. Without practice, basically we don’t see anything, we just react, and maybe we feel guilty after reacting, or whatever, but we do not look inside, really. When we do look inside — and that’s the gem of the practice — we start seeing. And only at that point can we start wondering about believing, only when we see there are two things. ‘Why am I believing this?’ How does it feel, this immediate obedience? You know, the good boy and girl, the good soldier, totally obedient to one’s suffering and conclusions and judgements — immediate adherence. That’s us, isn’t it. Why are we believing this? Because we’ve always believed this. An incredible power develops in the accumulation of -moments of belief. It is energy which accumulates over years, decades, lifetimes. We should go upstream. That’s why it’s not easy. Though we can’t forget, when we begin to see that we can let go of this blind belief, we can let the thought or the emotion be, and start listening to it instead of blindly believing and reinforcing it. That’s a very crucial turning point, and as I said, we don’t forget. This is what feeds the motivation more than other things. This works. We start saying, ‘Oh . . !’ We’re surprised. We honestly don’t expect it to really work. It doesn’t work immediately, of course. I think this is why many people leave the practice. We want things to work but we’re impatient, and so we just drop it. We want to get rid of this incredible energy. We do a few sittings, a few retreats, but, ‘Oh, it’s still there. I’ve been practising three and a half years and it’s still there.’ Of course it’s still there, but different seeds have been planted, a different inner movement is taking place more and more; there is a turning towards what is difficult, what is resisting, what is fearful, what is aversive; there is a turning more and more towards that. Turning towards whatever arises is the beginning of a gentle fearlessness, which doesn’t mean fear isn’t present. Fear is there, but we are less obedient to the fear of the fear. We want to see, we want to look at the fear. Again, why not? We should of course be realistic if we are talking about big fears. It’s got to be slow, gentle, gradual, of course, turning to what happens, so to speak, substituting the activity of believing with the activity of observing. In the practice one becomes more perceptive about one’s inner movements. We start being more awake, more aware of the fact that there is this mechanical tendency to grab our thoughts, to grab our emotions. This is different from listening. Maybe we should stop in order to listen. Our deeply ingrained preference for thinking starts being shaken and at times we prefer awareness, we prefer observation, we prefer listening instead of grabbing — grabbing thoughts and emotions. Taking refuge in awareness for just a short time, just a few seconds, is a healthy interval in which we can realise the destructive work that we’re normally engaged in, this blind belief that we are often strengthening. Taking refuge in awareness for these short periods of time are very healthy intervals. We come to our senses. Such an opening will close up again — fine! But we had that experience and we won’t forget. That is the way practice works — ups and downs, openings and closings. The more familiar we become with this rhythm the better, and the less idealistic or the less negligent we are. We become more ‘real’; I think that is the word. Proliferation cuts us off, makes us disconnected, isolated. But also — this is not emphasised here — our perception gets completely distorted because there is a succession of self-references which alters our perception — sense perception, mind perception. The Buddha, as we know, suggests that the practice should be: In what is seen there should only be what is seen. But we know that it is not the case. In what is seen there is more, usually it’s ‘me’. ‘I see this,’ ‘I am in this,’ ‘I am separated from this,’ ‘I like this,’ ‘I don’t like this.’ Now, this kind of mind is intractable, unworkable, rigid and is the mind of suffering; it is undeveloped. Through the practice the mind becomes stronger, more real, and loses rigidity. It becomes tractable, workable, instead of being intractable. We were talking about total resistance to the practice; that’s an expression of, ‘No way!’ So, through the practice, the mind becomes softer, more tractable. If we go through the Abhidhamma literature we find that there are twenty-five positive mental properties, or beautiful mental properties, mental qualities, versus fourteen ugly qualities. So there’s hope! Interestingly, the first two, the foundation, is mindfulness and confidence. And then a number of them are to do with being pliable, malleable, serene, tractable. When we say these words we can think of a mind which is ready to learn. But that is not the idea. 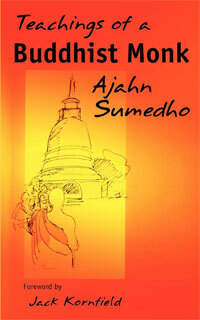 The idea is that the mind is not stiff, hard — ‘mind’ and ‘heart’ have the same word in ancient Indian languages. ‘A hard mind’, therefore, is the same as ‘a hard heart’. ‘Give me a new heart,’ remember in the Bible, instead of ‘the stone heart’. It’s not sentimental stuff. I think we’re talking about something similar. In other words, a mind which is less obsessed with self-reference, with fascination with mental suffering, with constantly reinforcing mental suffering, is more aligned with the dharma. That pliable mind, that tractable mind, is more aligned with high values, which a part of us values so much: wisdom and compassion and peace. It becomes more pliable, or lighter — that’s another quality — lightness of mind. When we start practising, our duty is to be with the breath and we find pleasure in fantasising. But then, fortunately, it goes the other way. More and more the pleasure is being with the breath, being with awareness, and the discomfort is this constantly talking mind. So, the mind has become more tractable, lighter. Sometimes the texts say the mind becomes ‘more luminous’, ‘more pliant’; it is not fixated, hypnotised, fascinated, again and again; it is freer, more creative. Since we find that being unified around the breath, say, is beneficial, more and more we do that instead of self-destructively pursuing other things and themes. When we recognise the impact, the consequences, of this constant and out-of-control train of thoughts-emotions-thoughts-emotions, when we recognise the proliferation, and when we start to realise that the more we feed this flow, this behaviour, the less tractable we become, then we begin to wake up to something of value. Peace, freedom — Buddha says whatever conflicts there are, or quarrels and wars, come to an end. So may that day come for all of us. Corrado Pensa leads vipassana retreats in Europe and the USA, is co-founder and guiding teacher of the Association for Mindfulness Meditation in Rome, professor of Eastern religions at the University of Rome, and a former psychotherapist. Click here to read more teachings from Corrado Pensa. The large Seated Buddha here come from Tianlongshan, near the city of Taiyuan in Shanxi Province. From the sixth through eighth centuries, approximately twenty-five caves were carved into the cliffs there. The caves had relief sculptures on each wall — often a buddha in a niche flanked by bodhisattvas and other devotional figures. This essay is one of the most gentle, the most peaceful, and the most non-judgemental commentaries regarding practice that this particular “aggregate of clinging” has experienced. 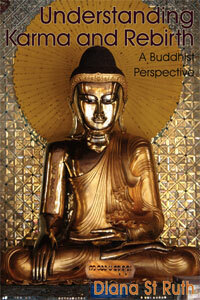 The essay is bursting with Bodhichitta; interspersed with wisdom. Finally, it identifies my own contradictions and addictions as an aspiring Upasaka. The Path is clearer now. Senor Corrado Pensa may your kindness generate skies of merit!